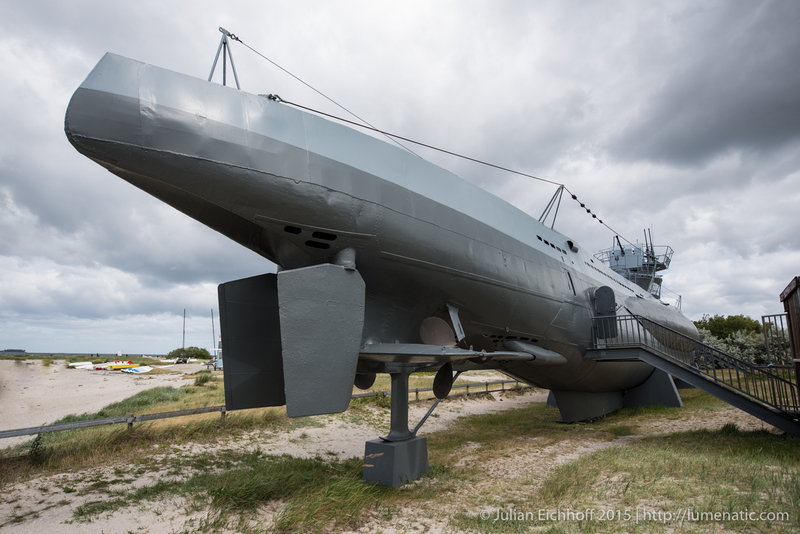 In Laboe, a German city at the Baltic Sea, you can visit a WW2 submarine which has been turned into a museum. Needless to say I wanted to see and photograph it. 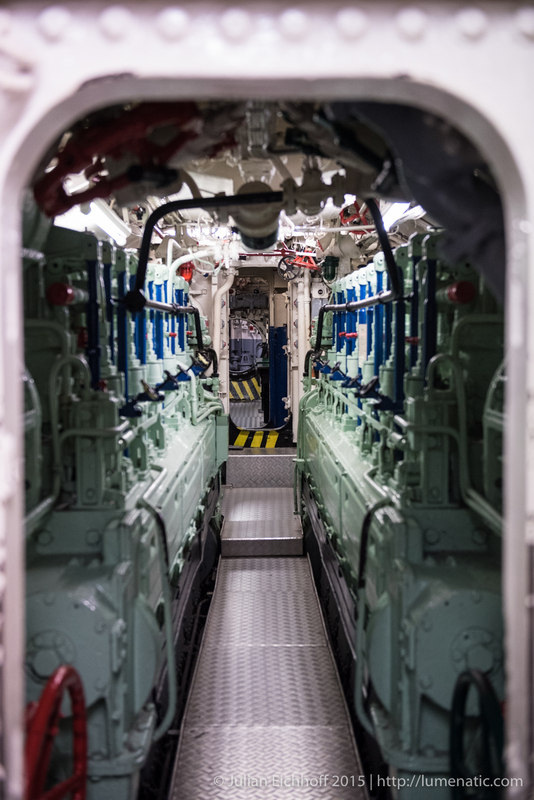 The submarine is a Type VII C boat, which entered service in September 1943. 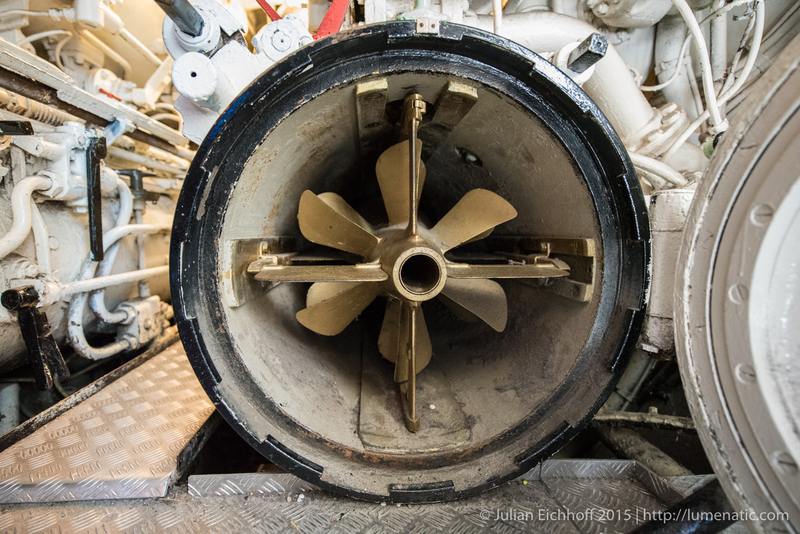 The german Reich built 693 units of those submarines. 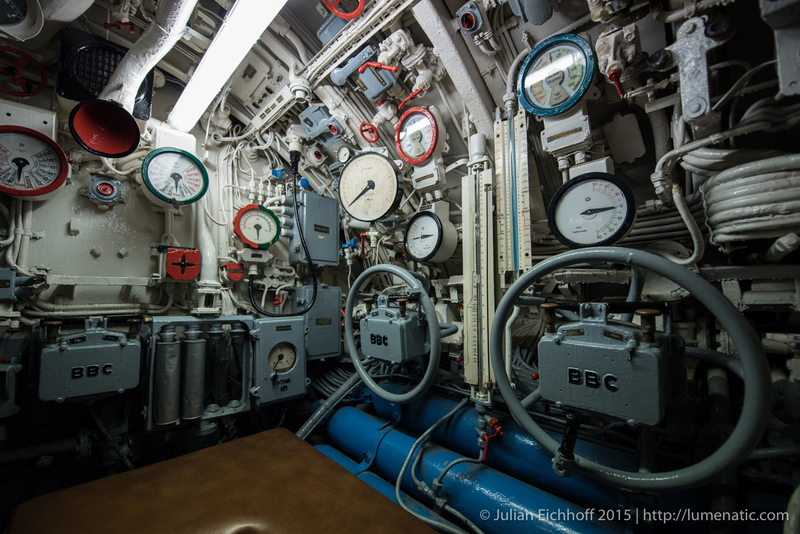 Most of them were sunk in WW2, taking the crew with them into a horrible death. Tens of thousand young men died and lie at the bottom of the oceans since then. 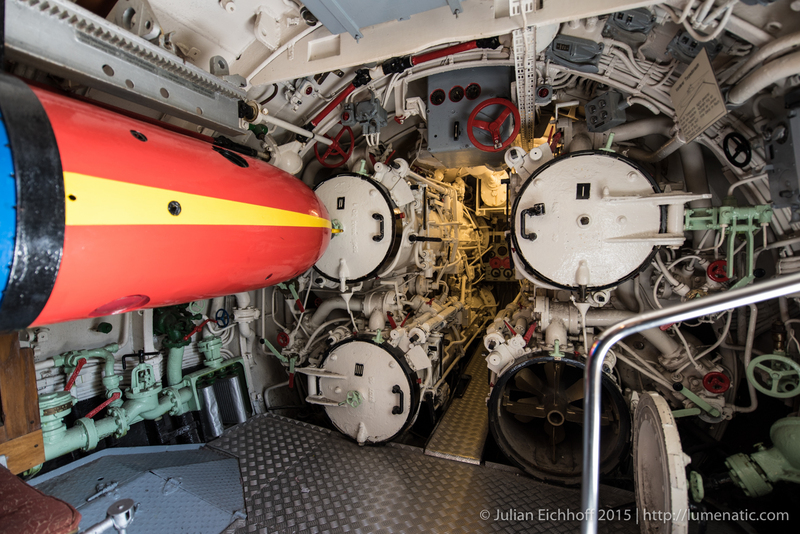 As a monument against war, but also as a testament for german engineering, the submarine has been turned into a museum. 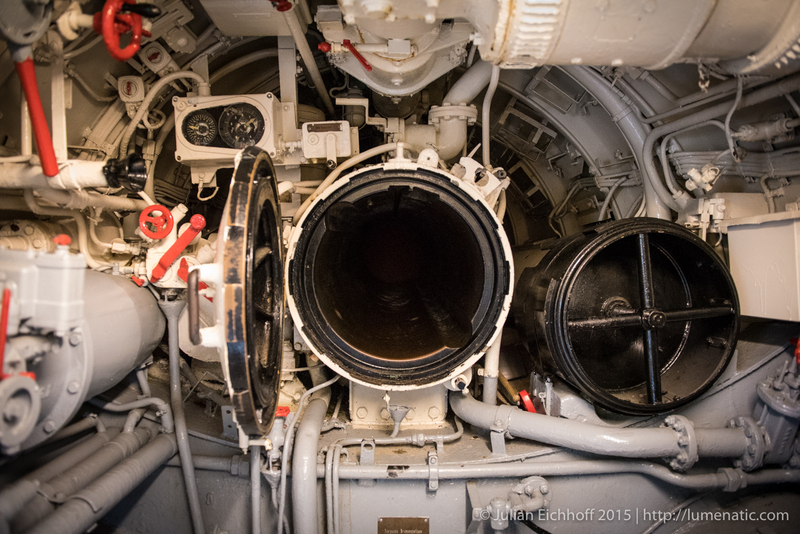 You enter the aft section and work your way forward to the torpedo tubes. Needless to say there is not much space and if you imagine 44-52 people in there the space shrinks even more. 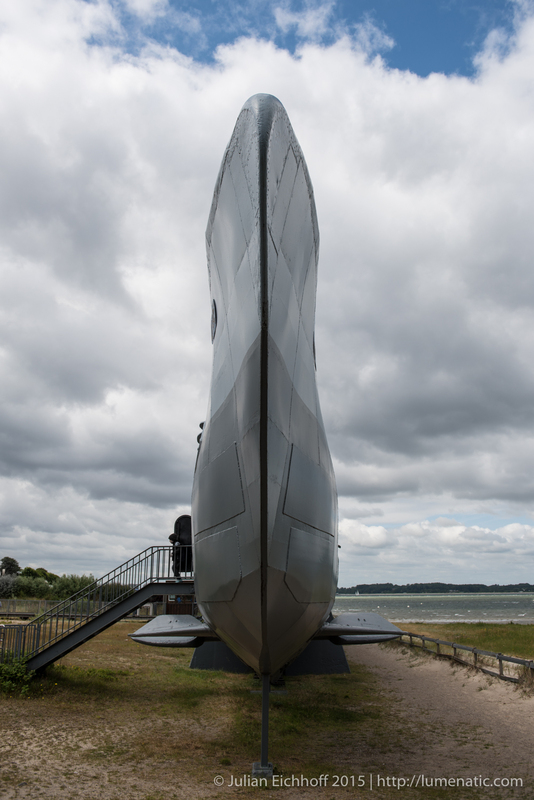 The submarine has a very slim contour as you can see in the third image (photograph taken before the bow). 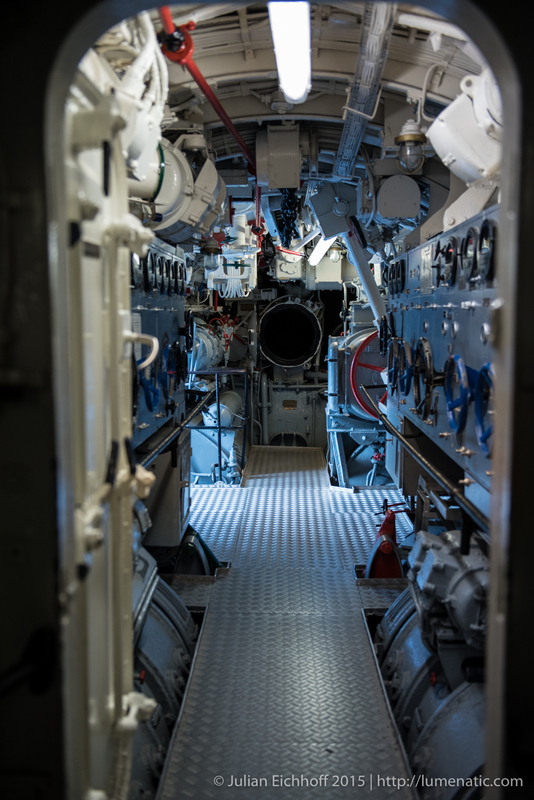 As the space is very limited inside, a wide-angle lens is the weapon of choice. Let’s head inside, shall we ? 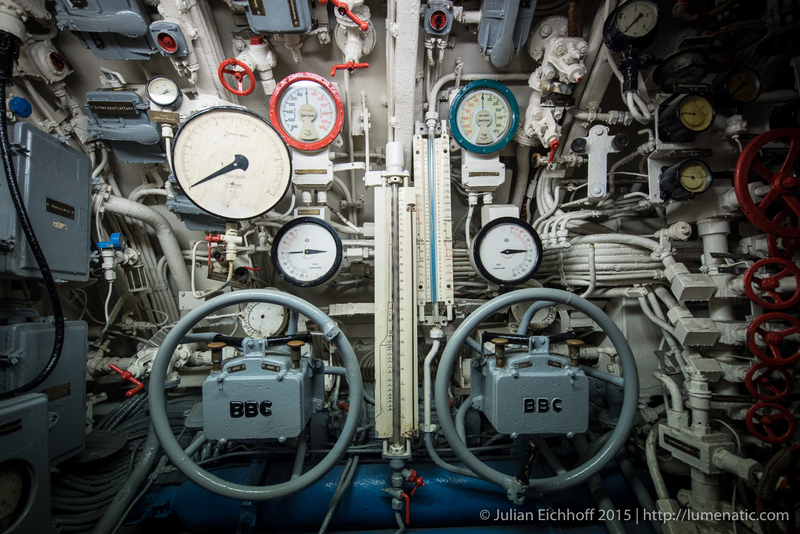 I chose the Nikon D750 with the 14-24mm f2.8 lens (wide angle, wide aperture). Of course I was not alone, many other tourists visited the boat at the same time. 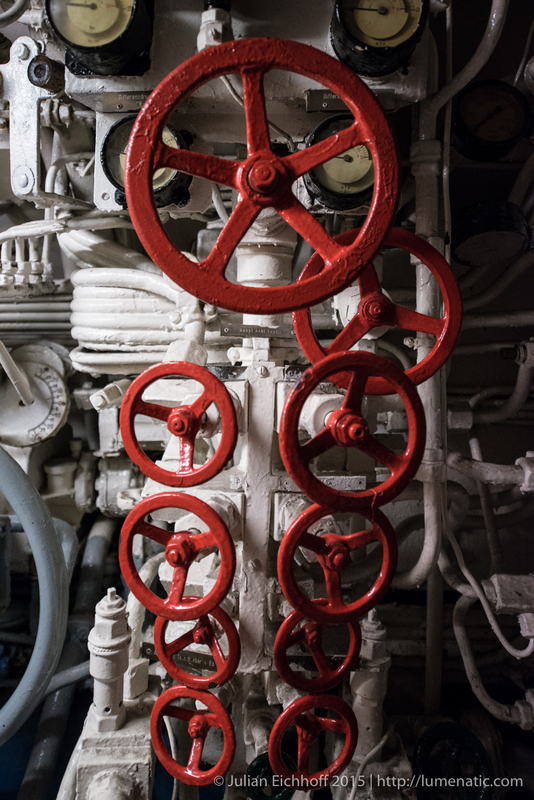 Getting a photograph without people leaves you with two options: Either you are patient and wait for the moment or you focus on photographing details like piping and instrumentation. If you choose the first option you really have to wait a little and stand / crouch in your position, poised to press the trigger as soon as that person in the frame moves out of your field of view. 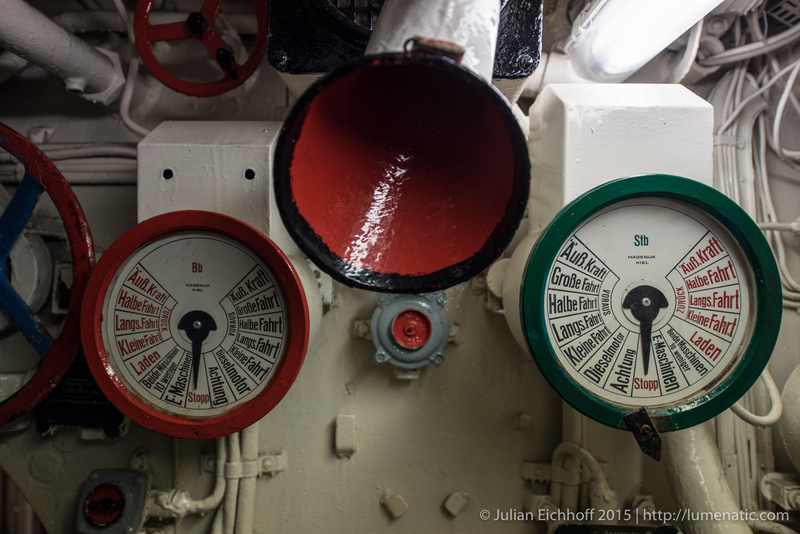 Next week I will show images from the visit to another, post WW2 submarine of the German Navy. Stay tuned.